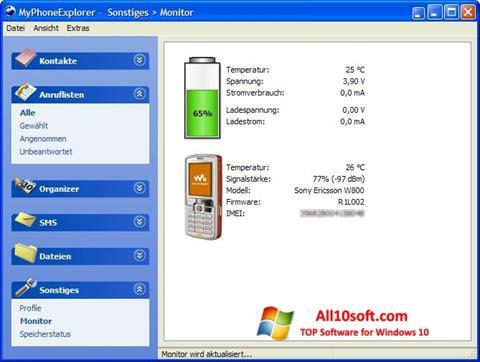 MyPhoneExplorer for Windows 10 - an application that will be useful to all owners of mobile devices Sony Ericsson. Provides convenient communication between computer and phone, allowing you to synchronize and exchange data. It will help to install a new software, update the system. For pairing, you can use the included cable, Bluetooth, infrared port. After connection, such functions as viewing the contents of the device through the file manager, address book management, messages, notes become available. In addition, you can copy photos, videos, music in both directions. You can free download MyPhoneExplorer official latest version for Windows 10 in English.